Provides easy way to import/export data from/to various data sources. Top features - charts, formulas, tables, pivot tables, data validation, conditional formatting, security, and more. Works faster and consumes lesser memory. The Syncfusion Essential XlsIO is a feature-rich and high-performance UWP Excel library that allows you to add robust Excel functionalities to any UWP applications. It allows you to create, read, and edit Excel documents programmatically without Microsoft Office dependencies. This library also offers functionality to import and export data, visualize data as charts, tabulate data, calculate with simple and complex formulas, format cells and values, sort and filter data, protect Excel files and more. Optimized for a server environment where speed and low memory usage are critical. It works much faster and consumes less memory than Office automation libraries. There are no distribution fees, per-server licensing fees, or royalties, making Excel Library very cost-effective. It’s easy to migrate existing Office automation code to Excel Library since the APIs are very similar. Reads and writes all popular Excel file formats including XLS and XLSX. A file can be opened in one format and saved in another format. The comprehensive API makes it possible to create richly formatted Excel files with elements like text, numbers, formatting, images, charts, and pivot tables. It is also possible to extract any desired piece of information from an existing workbook. Reports can be designed using Microsoft Excel, and the Syncfusion Excel Library can be used to dynamically populate them with data. Final reports can then be saved to an Excel file or exported to other supported formats. Easily import data from CLR objects into an Excel worksheet. Data in an existing worksheet can also be exported to CLR objects. Data sorting can be performed based on cell value, cell color, and font color using multiple sorting algorithms. Excel Library supports various filter options like Top, Top10, and Percent with different filter types such as custom, combination, dynamic, color, icon, and advanced filters. Learn more about sorting and filtering data. Cell data validations can be applied with operators, alert messages, custom formulas, and drop-down lists. The built-in calculation engine quickly evaluates formula cell values during runtime. It supports over 400 Excel functions. Named ranges can be used in formulas as substitutes for cell references. The built-in name manager allows adding, editing, and deleting names. Import hierarchical data from multiple tables. Learn more about template markers. Import images like JPEG, PNG, BMP, TIFF, and GIF in customized formats. Apply conditional formats to the template marker range with data bars, color scales, and icon sets. Create and edit all types of Excel charts including Excel 2016 charts. Charts with different types of series can be created. Create a tiny chart in a worksheet cell that provides visual representation of the data. Charts can also be converted to images using just a few lines of code. Uses data bars to easily spot larger and smaller numbers. Create charts with different types of series. Icon sets distinguish data in three or five categories based on the threshold value. Excel supports various formatting options like number formats, alignments, font settings, borders, colors, and rich text, that make data more readable. Create custom styles or applies built-in styles to cell ranges or tables. Excel Library performs various cell-level operations like resizing rows and columns, hiding and showing rows and columns, adding or deleting rows and columns, grouping and ungrouping, and subtotaling. Enable page settings like orientation, paper size, scaling, margins, print area, print titles, and header and footer. Create and edit pivot tables and pivot charts with just a few lines of code. General filter options, such as page filters, row filters, and column filters, along with various pivot table visibility settings and custom sorting, are also supported. Convert Excel documents to ODS, HTML, and images. Excel charts can also be converted to images. Read and write password-protected Excel documents with various algorithms like SHA 128, SHA256, or SHA512. Enable and disable workbook and worksheet protections along with locking cells. Create and edit text box, option button, check box, and combo box controls to enable user-friendly worksheets. Create and edit 150+ autoshapes in Excel. Create and edit comment shapes with rich text format and various fill options including gradient styles. Create an Excel workbook from scratch or modify an existing workbook. Open an existing Excel workbook from file system or stream. 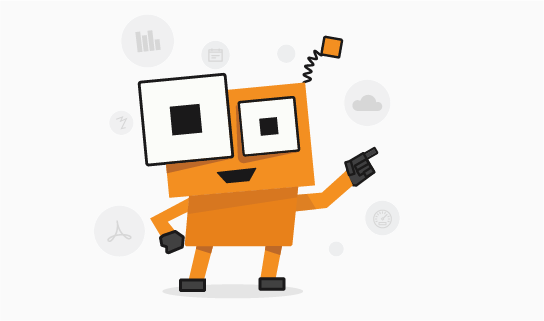 Save Excel workbook to a local file, stream, or stream it to the client browser. Read worksheets on demand when an Excel file contains multiple worksheets. Add or extract custom XML documents. Add or modify document properties. Import data from CLR objects to a worksheet. Import data into a preformatted template using template markers. Export data from worksheet to CLR objects. Read and write Excel formulas. Add or modify named ranges in workbook and worksheet levels. Perform calculation for a range of cells using named ranges. Apply or modify Excel formula auditing settings. Enable automatic and manual calculation options. Trace the relationships between the cells and formulas through dependent and precedent ranges. Creation and manipulation of Excel 2D charts. Creation and manipulation of Excel 3D charts. Creation and manipulation of custom charts. Create and manipulate pivot tables (while saving as XLS format, the pivot table is preserved as-is from the input XLS file). Apply various pivot table settings like page filter, row filter, and column filter (while saving as XLS format, pivot table is preserved as-is from the input XLS file). Supports pivot table settings such as visibility of field list, collapse button, field caption and field option, and header captions. Apply custom sorting and direction sorting for pivot table fields. Creation and manipulation of conditional formatting (supports icon sets, data bars, color scales, specific date in XLSX, and formats unique/duplicate values). Apply or modify number formats. Apply or modify fill settings. Apply or modify font settings. Apply or modify cell border settings. Apply or modify all the cell text alignments. Add or copy worksheets within or across workbooks. Copy a range to another range across worksheets. Copy a range with different copy options. Move a range to another range across worksheets. Create and manipulate of data validation. Apply or modify AutoFilters to filter worksheet data. Apply or modify color or icon filters to filter worksheet data. Apply or modify data sorting. Apply and modify view settings to freeze, unfreeze, and split panes. Insert and delete images in worksheets. Apply or modify background images in a worksheet. Add, remove, and modify hyperlinks. Group or ungroup rows and columns. Add or modify subtotals of grouped data. Add and delete of OLE objects. Open and save encrypted and decrypted documents. Lock and unlock cells for write protection. Set and get header and footer settings. Apply and modify horizontal and vertical page breaks. Apply and modify custom page breaks. Apply various page setup options like paper size, orientation, scaling, and margins. Print workbook with custom page settings. Creation and manipulation of autoshapes. Creation and manipulation of check boxes. Creation and manipulation of combo boxes. Creation and manipulation of comments. Creation and manipulation of text boxes. Creation and manipulation of group shapes. Converts an entire Excel worksheet into a single image. Converts specific range of an Excel worksheet into a single image. Converts Excel charts to images (.NET Framework 4.0 and above). Converts Excel document to ODS (Open Document Spreadsheet).